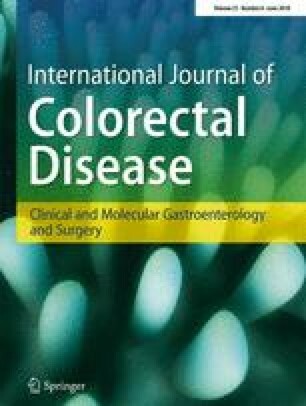 Anastomotic leakage (AL) and surgical site infection (SSI) are prevalent complications of colorectal surgery. To lower this risk, we standardized our surgical procedures in 2012, with a preferential use of laparoscopic approach (LS) for both colon and rectal surgery, combined with triangulating anastomosis (TA) for colon surgery and defunctioning ileostomy (DI) for low anterior resection. Our aim was to evaluate the outcomes of our standardized procedures. The incidence rate of AL (primary outcome) and of reoperation and SSI (secondary outcome) was compared before (early period, n = 648) and after (late period, n = 541) standardization, through a retrospective analysis. The incidence rate of AL (6.6 versus 1.8%; P = 0.001), reoperation (3.5 versus 0.7%; P = 0.0012), and SSI (7.7 versus 4.6%; P = 0.029) was lower in late than in the early period. For colon cancer, TA and LS reduced the risk of AL (2.1 versus 0.3%, P = 0.020, for TA, and 3.2 versus 0.4%, P = 0.0027, for LS) and reoperation (2.9 versus 0.3%, P = 0.003, for TA, and 2.5 versus 0.2%, P = 0.0040, for LS). For rectal cancer, the incidence of all adverse outcomes (AL, reoperation, and SSI) was lower in cases treated by LS. However, the incidence of AL was lower in the late than in early period (P = 0.002) and with LS (P = 0.002). On multivariate analysis, late period and LS were independent factors of a lower risk of adverse outcomes. Our surgical standardization seems to be effective in lowering the risks of AL, reoperation, and SSI after colorectal cancer surgery.